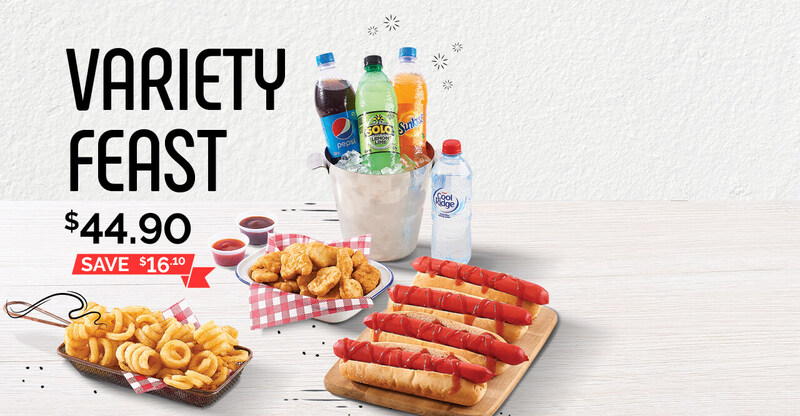 We can guarantee you won't be leaving ZONE BOWLING feeling hungry with our Variety Feast Deal. 4 Hotdogs, 1 Large Curly Fries, 4 600ml Schweppes drinks and 15 Nuggets with sauce, can you say DELICIOUS! Head into venue to tantalise your taste buds! 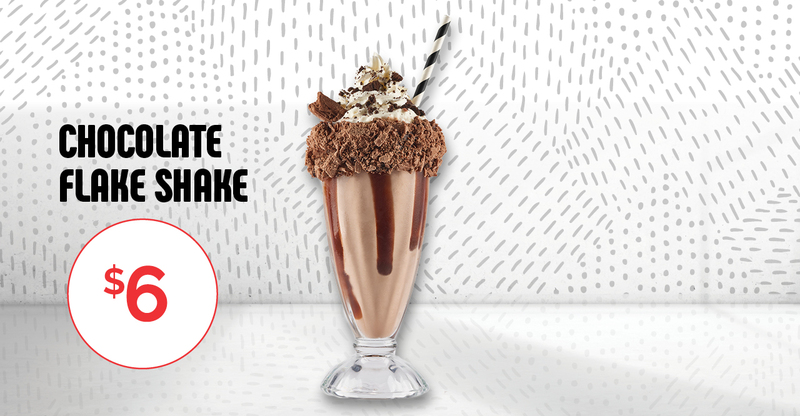 Indulge your taste buds with our Chocolate Flake Shake after you bowl up an appetite on the lanes! Come into ZONE BOWLING these School Holidays to taste the deliciousness... yum! Bowled up an appetite? Tantalise your taste buds with our Crispy Chicken Tenders! 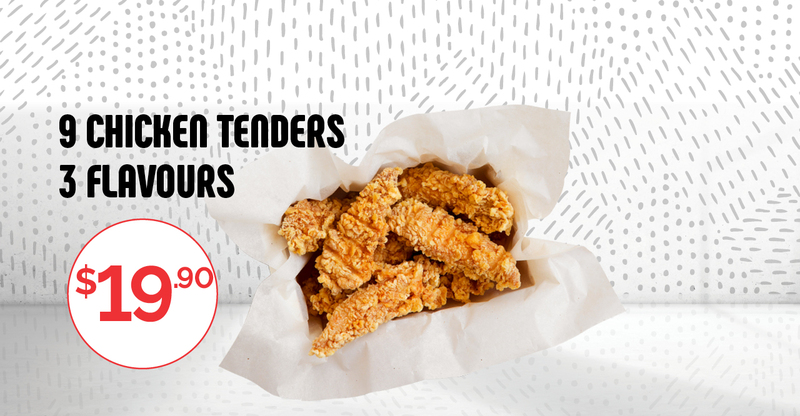 Get 9 Chicken Tenders, in 3 different flavours for $19.90! Add on some curly fries for just $3! Grab yours during the School Holidays. Feel like something sweet on the lanes? We've got the perfect treat for only $2.00! 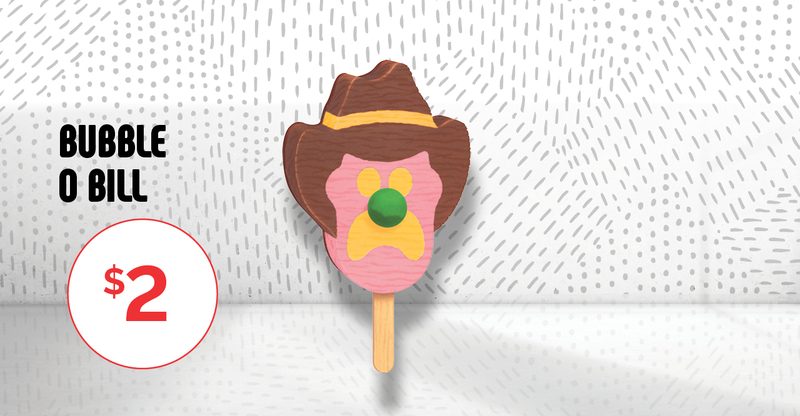 Grab an aussie classic in venue with our Bubble O Bill these School Holidays. 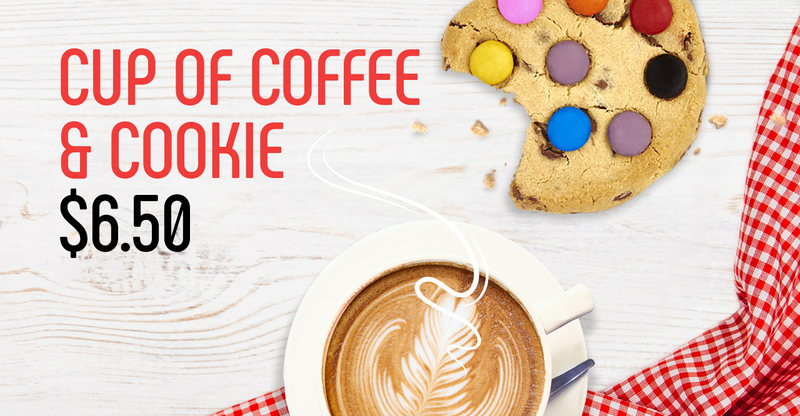 Head into venue and indulge in our fantastic Coffee & Cookie deal! Purchase a cup of Coffee & Cookie for only $6.50! We don't want you snoozing on our lanes so head in today and grab yourself a quick pick me up treat! Explosion of tastes and flavours. Grab your knives and forks and head to ZONE BOWLING for fresh, exciting and flavour-bombed food & drinks. From share plates, to sweet treats and everything else in between – we’ve got it all. We guarantee you’ll be back on the lanes and ready for round two. If you're willing to share, there's more than enough to go around. Try nibbles such as the Italian meatball sliders or waffle fries loaded with chipotle pulled pork and cheese sauce. Get your hands on a chicken & avocado toastie and make a meal of it with your choice of fries from the potato bar. Follow it all up with a sundae (available in chocolate, strawberry, or caramel editions), fresh mango berry pavlova sliders or the crowd favourite Nutella pizza. There’s not many people who can say that their job is to create fun…would you like to be one of them…?